This is it – your eureka moment. Inspiration has hit and you’ve had the idea of a lifetime. This app will change the world! Or maybe not… Maybe it will make people’s lives a bit simpler or your business easier to manage? Either way, your idea has potential. So what happens next? How do you begin the process of making your app idea a reality? We’ve walked many people through the process from conception to reality and have created these five steps to help you begin realising your app aspirations. What are you hoping to achieve through this app? Are you trying to make a process more efficient? Are you hoping to connect people? Is it for fun? Are you hoping to monetise the app? There are many different directions you could take. A clear vision is key to keeping you on track. Try writing a short paragraph outlining what you hope the app will do, who it is for and why it is important. When you begin to dream about how your idea could evolve it’s easy to get carried away with all the possibilities. The best approach is to start with something very simple - an app that does one thing well. You can always add more elements later. For instance, you may want to launch a simple music streaming service. Later you could introduce subscription levels, embed music videos or create a music rating system. It’s great to dream about what could be, but the best way to get there is to start small. 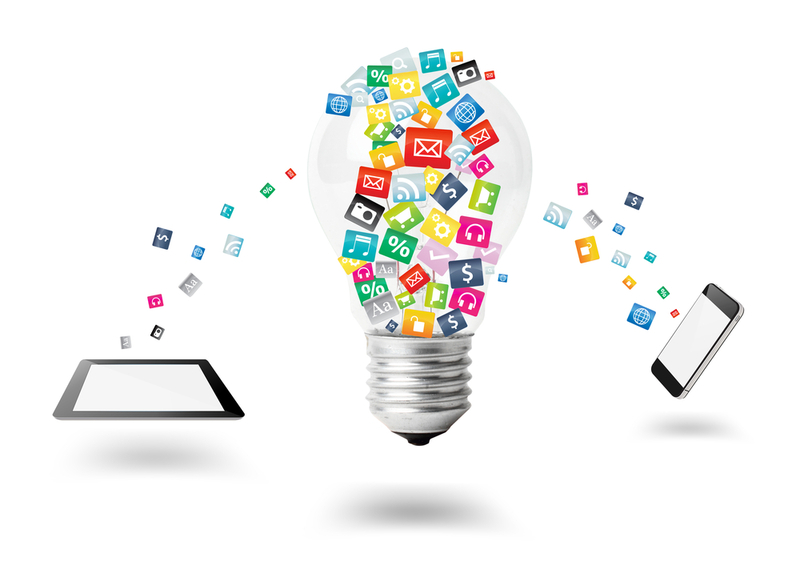 It is usually easier to get an app that does one thing well to the initial release stage. Once it’s out there you’ll see how people respond, instead of investing time and money in something that doesn’t quite hit the mark. The Ark app is an excellent example of a defined and simple app - it did exactly what it needed to do and it did it well. Now that you have a vision statement it’s time to get to know your target market. You could have an app idea to help business leaders organise their lives, but if it functions like it was designed for teenagers you will have a hard time getting people to use it. It is important to understand what makes your target market tick to make sure the app works for them. This encompasses everything; how it looks and feels as well as how it functions. God for Kids is a great example; creator Joanne involved her kids and her friends in the process and we think it shows. You can also do some basic market research - talk to people who are in your target market, ask them questions. Run a simple online survey if you want or get feedback from a few people you trust (you don’t want anyone stealing your idea…). It will make all the difference in the long run. Is anyone doing the same as you? Have a look on the various app stores and online to see what’s already out there. Someone else might be doing something similar, but that doesn't mean there isn’t room for your idea as well. What makes your idea different and unique? This will become a major selling point for you. Developing an app is not for the faint of heart! The process is exciting and creative, but it will come with challenges. We have heard many ideas over the years and most of them are perfectly possible, but the technical process of getting there might not be as simple as you think. Well made apps take time to develop and once they’re out there, it can take time for them to take off. You can have the best app idea in the world, but unless you put in the hours to make it a success and nail your marketing strategy your idea will be dead in the water. Make sure you budget in both the time and marketing budget needed to make it a success. These steps are tried and tested, and will set you up for success. We’re always happy to talk to you about your app idea - head over to our contact page and get in touch.